Cucumber chinese contains a striped light -dark green colored outer skin, there is no seed. It is an extremely good source of Vitamin C, K and also includes vitamin A and B complex vitamins and minerals. 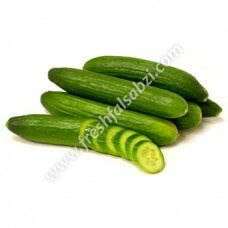 It is low in calories and contains high water content.